South African scientists have developed a chip containing millions of genes that are commonly found in Africa and hope to use it to develop precision medicine for the African continent, reports Quartz. With this chip, medical practitioners believe they will be able to run genetic tests on their patients and formulate tailor-made treatment programs for various infections that have been problematic in Africa. “This will be the first chip that has been created to specifically target genetic variation in African populations and people of African descent,” Nicola Mulder, a co-founder of the chip and bio-informatician at the University of Cape Town in South Africa, said. New Study: Exercise Saves You Money! According to Mulder, the chip, a product of the Human Heredity and Health in Africa (H3Africa) initiative, will be ready for use in early 2017. Many developed countries, such as Europe and the United States, are already enjoying the benefits of precision medicine, which has proven to be highly effective in determining the best treatment for diseases, such as cancer. However, Africans and people of African descent, even in the developed world, have been left out of this medical revolution due to their extensive genetic variations. Research shows that two Africans living in the same city are likely to have greater genetic variations that two Europeans living in two different European countries. 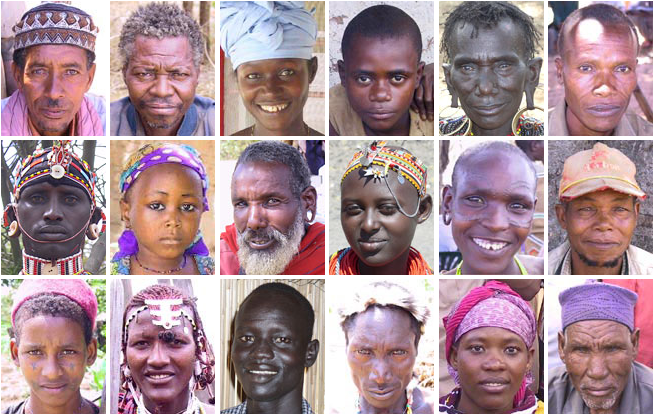 In general, Africans have been found to have numerous genetic variations that don’t appear in Caucasian populations, making precision medicine tools based on Caucasians less useful and sometimes potentially harmful to Africans. With the new genetic chip, scientists hope they will be able to understand the reasons why Africans are susceptible to certain diseases, such as chronic kidney disease, which affects about 40 percent of adults living in sub-Saharan Africa. “Understanding the genetics of African people is imperative. Without it you can’t tell the story of the rest of the world,” says Charles Rotimi, a Nigerian geneticist working with the U.S. National Institute of Health in Bethesda, Maryland. For scientists to be able to link a certain gene to a disease trait, they have to screen thousands of people’s genetic sequences against a reference library of genetic makers to see if they can pick up any patterns. These genetic makers, which are specific variations in the genetic code, are stored on genetic chips designed by biotech companies for research purposes. Unfortunately, very few of these chips are designed to handle the diverse African genetic variations. The new chip contains 2.5 million different genetic makers that have been locally sourced for their African relevance. Through this health initiative, which is being funded by the United Kingdom and the United States, researchers have collected tens of thousands of samples from Africans to study genetic links for diseases, such as diabetes, rheumatic heart disease, tuberculosis, and sleeping sickness.